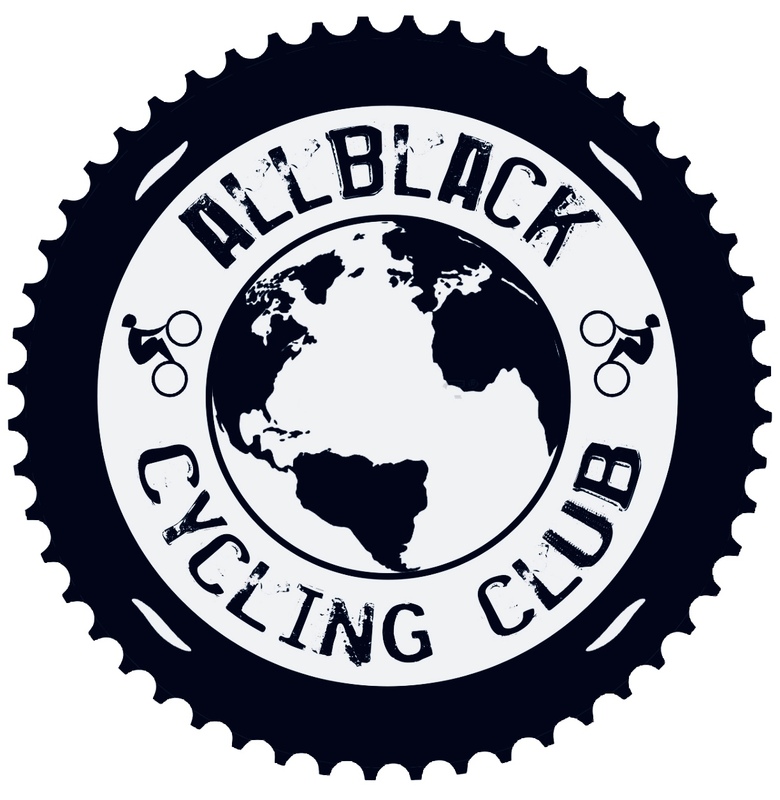 The first allblack.cc interview had only one name, Inge, a member of this club since its inception, one of the first people we bet on and we invite you to join. Great person and great sportsman, worker and dreamer, lives his life to the maximum and that is also seen in his results. If you want to read her story here we leave the link. Cycling has been part of my life since I was very young, as my grandfather and uncle were professional cyclists. As a little girl I joined my uncle to the races and was fascinated by the world of cycling. My mom on the other had was not fond of the idea of her daughter on a race bike, so I had to choose another sports. Gymnastics it was… I started at the age of 3 and soon joined the elite group and started competing. After 10 years I needed a change and switched to swimming competition until I went to university. But the interest in cycling never died, I wrote a paper on the ‘Omloop het Nieuwsblad’ and did an internship at Sporza, the national radio station in Belgium. That is when I met my husband, Peter Wuyts, who was a pro cyclist at that time. After joining him for training on his old mountain bike, which was three sizes too big, he was surprised by my talent for cycling and soon we bought a cyclocross bike and later a road bike. When did you start to competition? When my husband finished his professional career, I decided it was now or never and on my 27th birthday I rode my first women elite road race. From day one it all went very well and a little later I joined a UCI women’s team. I combined a full-time job with international cycling for 5 years, with the World Championships Team Time Trial in Valkenburg as one of the highlights. After 5 years I decided to quit road racing and to focus on my job, but the love for the bike never disappeared. I discovered mountain biking and I must say it was love at first ‘ride’… The adrenaline, the technique, the different landscapes… After doing some marathon races in the Southern part of our country, I decided last year to start competing some more in MTB with a provincial title as a result. If only I had known sooner how great this sports is!!! How do you train? Planned or free? Until last year I just rode around a little, I didn’t even have a heart rate meter, I just trained and competed by feeling. There was no structure in my training or racing. Last year I started training with a friend who has more experience in coaching and motivating athletes. He gave me some tips and joined me for most of my rides. I started training with a heart rate meter and for the first time ever started listening to a coach 🙂 He takes into account that I have to go to the office every day, so I only have time to train in the evening and in weekends. Every day I let him know how I feel and he gives me feedback on how to train. Each week I take minimal two days to relax without the bike. 2017 started catastrophic, with a big crash half of February. During an afterwork MTB training on our local circuit I crashed into a tree. I had trouble breathing and lots of pain, but with the adrenaline and help from my husband and coach I got back on the bike. After 1k we reached my coach’s house, where I collapsed. At the emergency unit it became clear that the consequences were horrible; 15 broken ribs, a broken collarbone and bruised lungs. I was moved to intensive care where I stayed for 1 week. After spending 2 weeks in hospital, I have spent 2 months in a hospital bed in our living room. But I came back, stronger and more motivated than ever! End of May, only 3 months after the crash, I decided to ride the Ardennen Trophy, a 95k MTB marathon, to my surprise I ended on the podium. How the race in which you proclaimed provincial champion? At the end of the season I decided to do my first XCO race, the provincial championship, on our home circuit, where I crashed 8 months earlier. I made it! I became champion of Antwerp. To others this might seem a small victory, but to me it means a lot after a year of ups and downs and terrible pain. What do you like about allblack.cc? doesn’t matter if it is road, MTB, track, BMX,… we all have the same interest and motivation to enjoy and share the beautiful moments of our sports. I don’t want to put pressure on myself for 2018, because cycling for me is a moment to destress from work. I want to enjoy each moment on the bike, improve my technical skills and get stronger. Off course I will be racing and I want to achieve good results. I will be doing some marathons in Belgium and abroad, some national XCO races and my first MTB stage race Vuelta Ibiza!